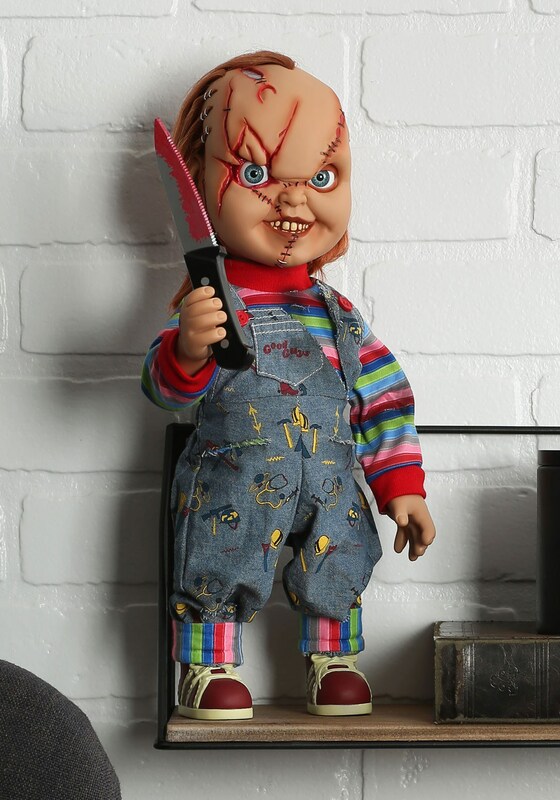 Chucky needs your help. All he really wants to do is transfer his soul into that of Andy’s and everyone keeps trying to hurt him. Can you believe that? They messed him up pretty bad! Just look at him for goodness sake! Of course, you wouldn’t treat him with such violence, would you? You’d give him a nice home and be his best friend until the very end, wouldn’t you? 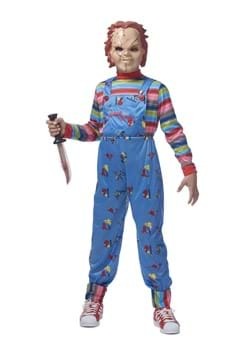 And if Chucky happened to sneak up behind you, wielding a butcher knife, you wouldn’t be suspicious of the little doll, now would you? 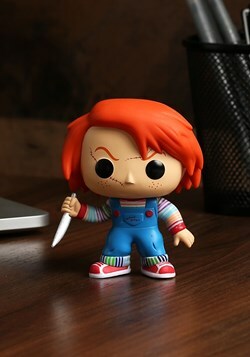 After all, he’s a Good Guy Doll. He couldn’t possibly be up to anything evil. This Child’s Play Chucky Doll is an officially licensed collectible from Mezco Toyz. 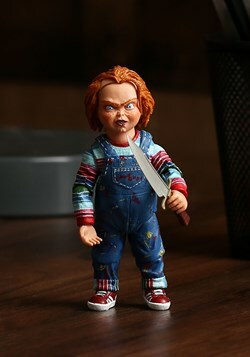 It does an outstanding job of recreating his look from the classic film. 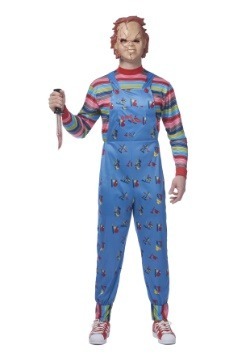 This version has plenty of scary details, including scars and stitching on his face, a pair of eerily realistic eyes, and his classic overalls outfit. He’s fully poseable and has 11 points of articulation. He also speaks 7 different phrases from the movie! If you’re looking for a new pal, then Chucky might just be your guy. 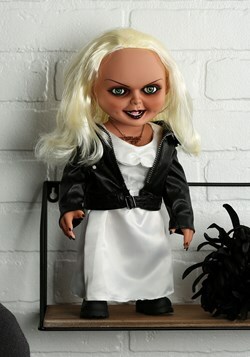 Just don’t get on his bad side or this little doll might be looking for a bit of revenge!